These days, even in the world of cats, trendy is small. This means that smaller breeds are in high demand. 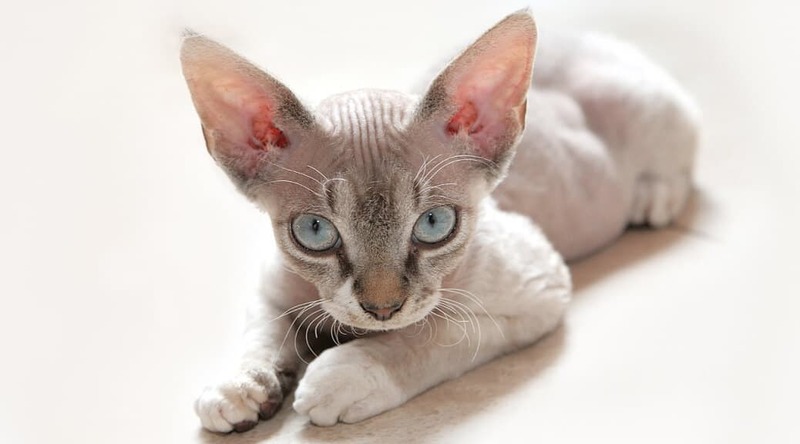 Breeds such as the Devon Rex, Cornish Rex, American Curl, and Munchkin are some of the smallest cat breeds in the world. 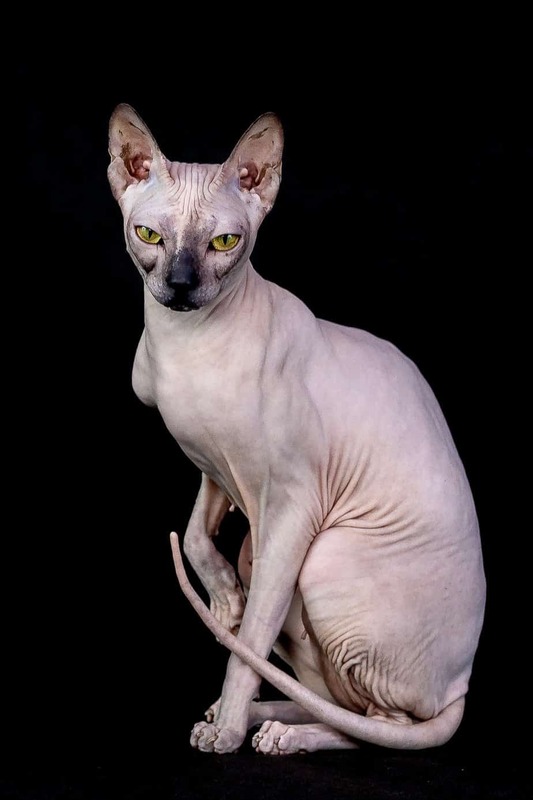 While the Peterbald and the Sphynx are also on that list, the Singapura and the Russian Toy Bobtail are the smallest on the list. Keep reading to learn more about these tiny, different cat breeds that stay small. The Russian Toy Bobtail breed is a miniature breed that has existed for about ten years and is now considered the smallest of cats. As an adult, this cat will weigh between 3-5 pounds, which is approximately the weight of an average kitten. However, despite the fact that this cat is tiny, it’s actually quite lively, alert, and healthy. This cat has a very cute tail that is short and is either curved (forming a mini-spiral) or straight (forming a brush). In addition, this cat is very playful and curious and due to its small size, you don’t really need a huge area for it to explore. However, they are very social, so you’ll need to be prepared to offer tons of affection and love. This breed is in high demand- most breeders have a waiting list that is several years out. 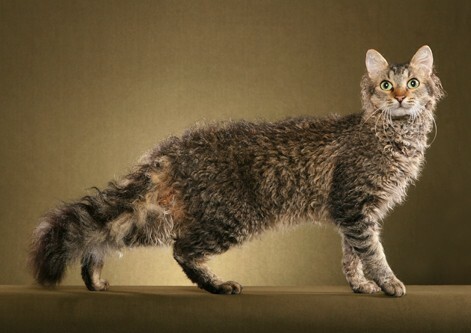 Before the Russian Toy Bobtail came along, the Singapura was considered to be the smallest of the small breed cats. This cat is a natural breed, not man-made. At adult size, this cat will weigh between 4-8 pounds and comes from South East Asia. It gets its name from the Malaysian word for Singapore. This cat is very attractive and is known for its very large ears and yellow, green, or hazel eyes. 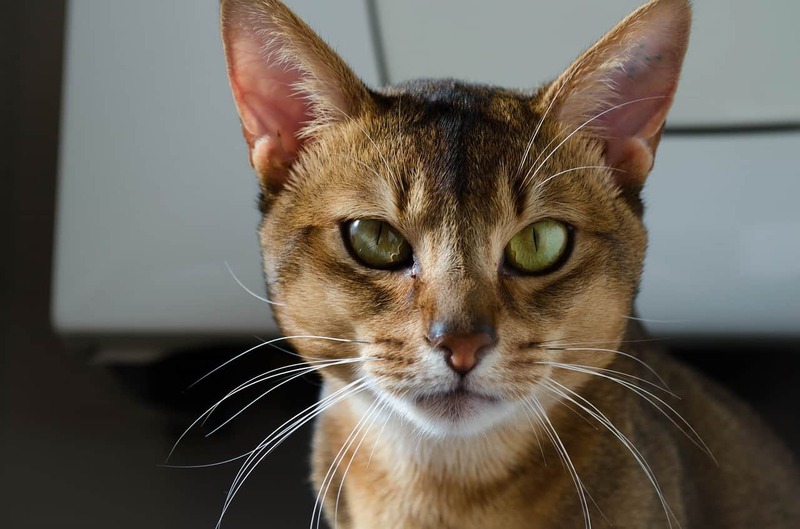 When you first see a Singapura, you may think it’s a new color of Abyssinian. However, when you look closer, you’ll see that the only similarity is the large ears. This breed of cat is very curious, extroverted, and playful and will insist on being close to you at all times. This is a very intelligent, nondestructive breed. 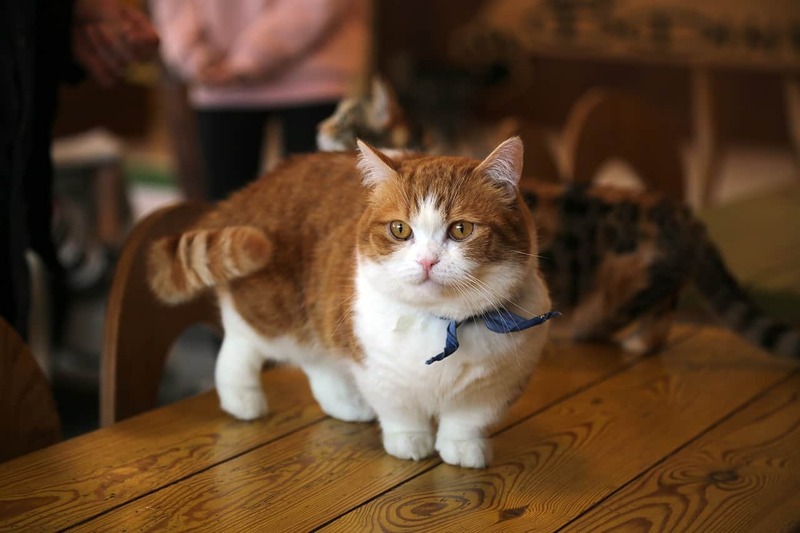 The Munchkin is a fairly new breed of cat that gets its name from its short legs, which are the result of a genetic mutation. This breed was introduced to the public in 1991 and though skeptics said that there would be health problems with this breed, TICA accepted the Munchkin into its New Breed Development Program. 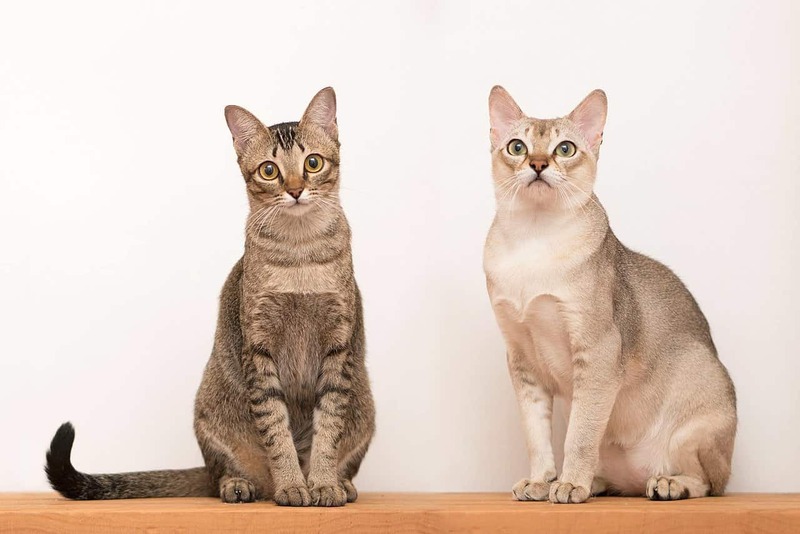 However, there are still many breeders out there that do not accept this breed because they believe that a genetic mutation is not normal and could pose some serious disadvantages to the cat. On the other hand, breeders and owners of Munchkins state that this breed is sound and perfect for a tiny home or an apartment and they are not as prone to health issues as one might expect them to be. This breed is very playful, sweet, and intelligent and loves to be social. Even though they do have exceptionally short legs, this does not seem to keep them from getting around where they need to. Their hind legs are a little longer, which gives them a small rise from their front to their rump. As an adult, this cat will weigh between 6-9 pounds. A Cornish Rex enjoys playing games such as fetch and even competing with other animals around them. They love to explore and are very curious and intelligent. They come in a variety of patterns and colors. The lifespan of a Cornish Rex is between 10-15 years. 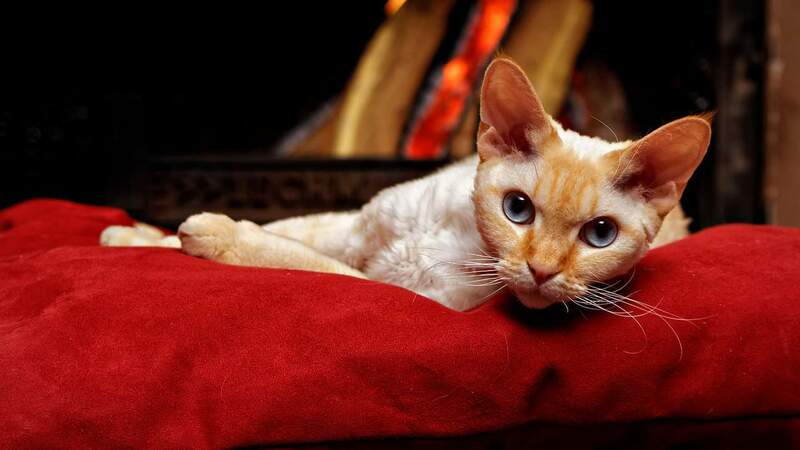 The Devon Rex comes from the same basic area that the Cornish Rex does and was introduced sometime in the 1960s. These cats are well-known for the shape and size of their ears and very sleek, slender bodies. 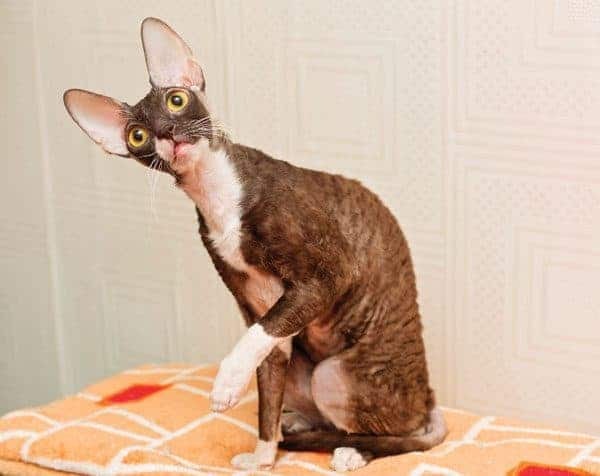 They are very intelligent, which means they can learn more complicated tricks and there are some that say the Devon Rex can learn to recognize its owner’s name. 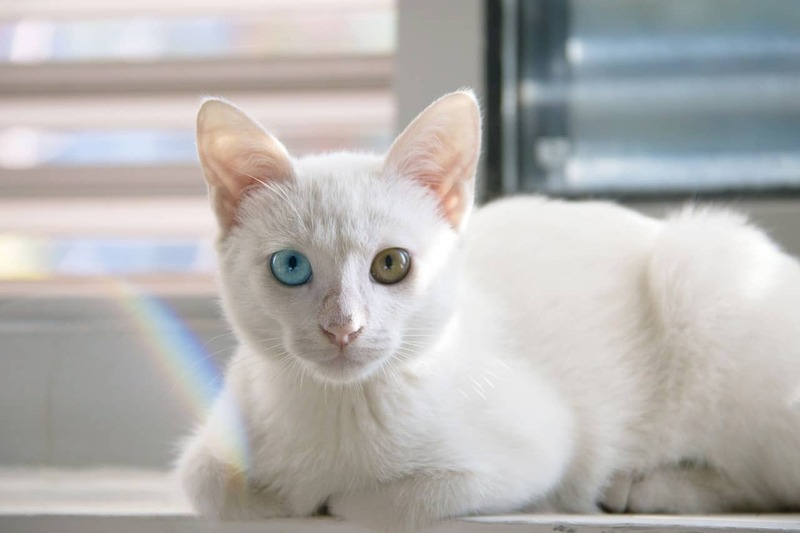 Due to their very unique appearance, these cats are often referred to as “alien” or “pixie” cats. This is another breed of cat that is very people-oriented. They have the ability to jump really high, so don’t be surprised if you find your cat on the shelf in your bedroom closet. They weigh between 5-10 pounds at adult size. 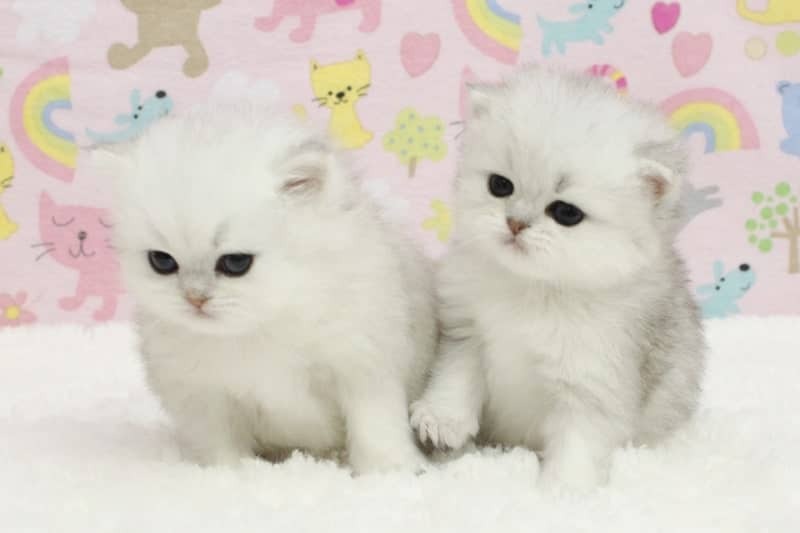 At one time, the miniature Persian was considered to be an oddity. However, these days, you’ll find several breeders in the UK, United States, and Canada. Though these small cute cats are smaller than their counterparts, they do have the same personality traits and physical features. This breed will vary in size based on their size at 8-19 months. The females typically weigh 6 to 8 pounds and the males will be a little larger, weighing 8 to 10 pounds. One very important thing that you must keep in mind when it comes to breeding miniature cats is that this is not an exact science. The amount you pay for your miniature cat may not be worth the potential health problems he/she could have. Unless you are sure it’s a stable breed, you might want to consider something else. In addition, you must understand that sometimes genetic anomalies occur which means that even though your cat was bred as a mini, he/she may become a typical size cat. There are distinct cat breeds that stay small that just don’t produce miniature offspring. This is because even genetic dwarfs carry the gene that results in a normal size cat. There are so many amazing cat breeds in the world today, and they have so many unique features! One of these features that can really make a cat stand out is a large pair of eyes. Below, we're going to take a look at 10 cat breeds that are known by their large eyes on top of other features. From the Abyssinian to the Ragamuffin, let's take a look at all these different Cat Breeds with Big Eyes! These cats have a handsome, striking look that really shows off the cunning of the breed. They are known to be a quiet breed that has no problem spending time on their own. They also don't need a lot of cat grooming and maintenance. 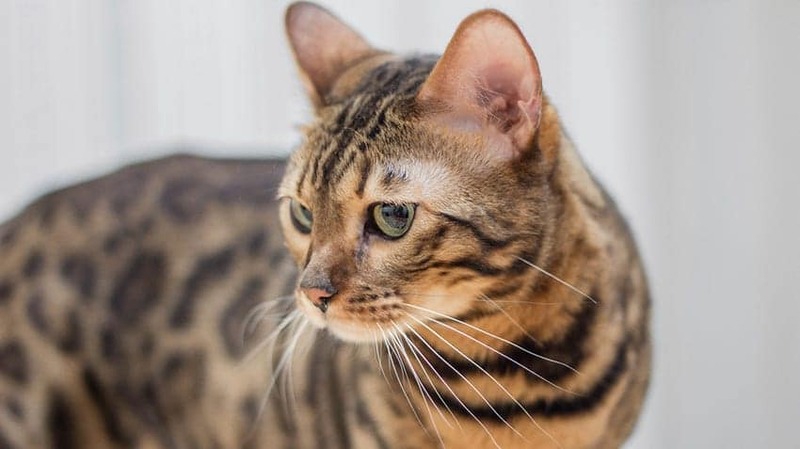 They are a particularly athletic breed, so they're a great cat for those who want something very playful or that can hunt rodents or other small critters. Overall, they're a very cool looking cat that appears as though they could easily hunt down just about anything. 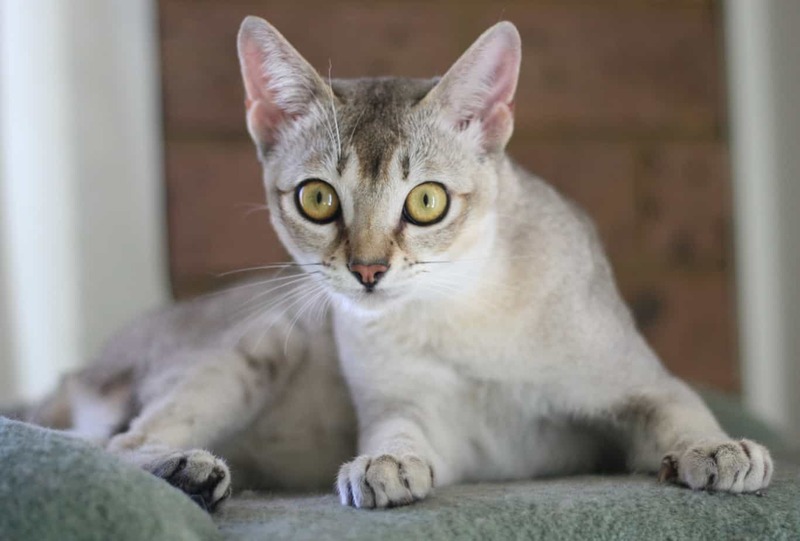 Unlike the smooth, sharp appearance of the Abyssinian, the Singapura has an appearance that makes them look frequently surprised. This breed is also known for having large, pointed ears. To some, they may look like the fennec fox of the cat world, with their large eyes and ears. Their eyes can really dwarf their nose and mouths, making them appear quite small. They are also shorthair cats, so there isn't a large need for grooming. 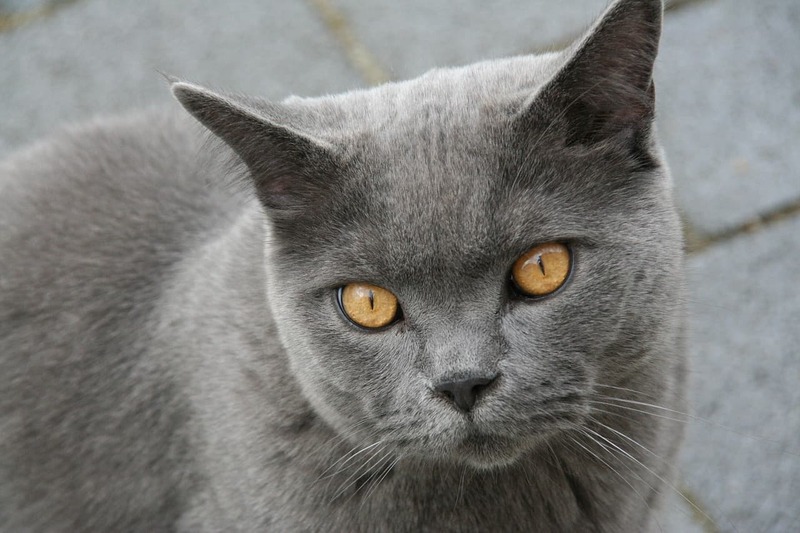 Not only to British Shorthair cats often have large eyes, but they tend to be an interesting copper color. They also tend to have dense, short fur that can result in a velvety soft coat. Furthermore, these cats are considered to be excellent family pets who enjoy playing with children. They can also get along quite well with other pets in your home. For those who are looking to add a pair of paws into their loving family home, this is a great choice. 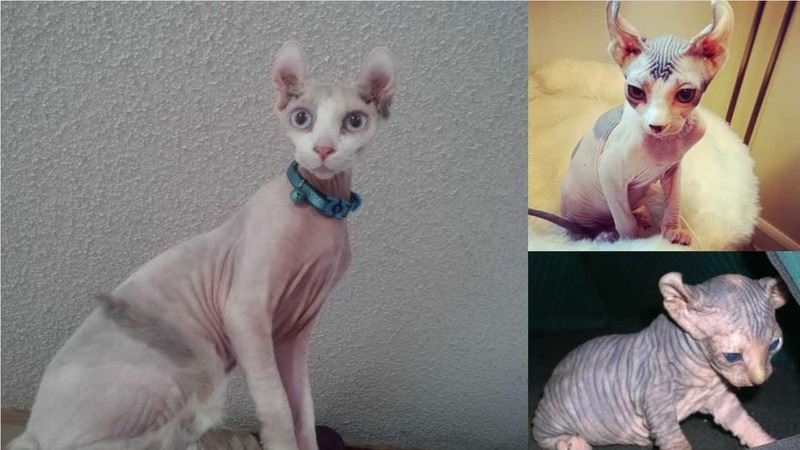 The Elf Cat is a truly unique breed with an interesting appearance. They have large, wise eyes and ears that are bent backwards slightly. It is likely that these unique ears are where the term “Elf Cat” comes from. Many have found these to be very social animals who enjoy being around humans. They also tend to be quite intelligent. Because of this temperament, they can fit into a wide variety of homes well. Just make sure they keep warm, as they lack fur! 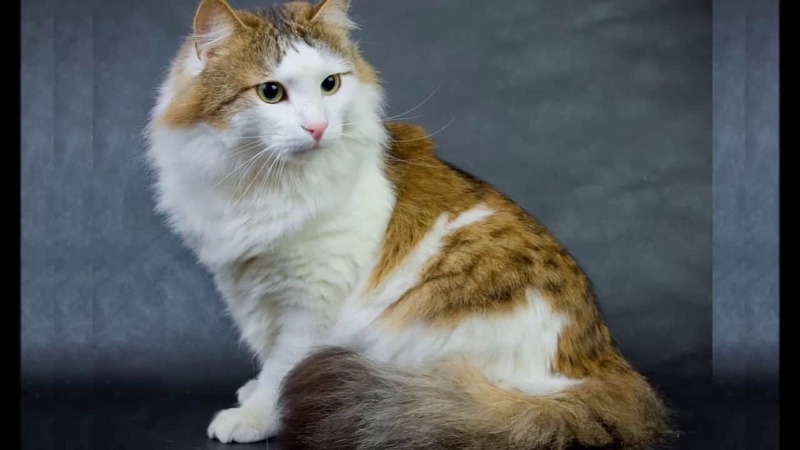 These cats are known for their gorgeous spangled coats that can come in a huge variety of colors including calico, red, silver, black-blue and more! They also have almond-shaped, brightly colored eyes that can really allow them to stand out among other breeds. Those eyes lend them an alert, intelligent look as they take in the world around them. They also tend to be of the shorthair variety, meaning they won't need a lot of extra grooming. On top of the large eyes, these cats have a very short, extremely soft coat. It's this coat that really makes them stand out in the cat world. They also have ears that are quite large. Many who have owned cats of this breed have found them to be very playful and friendly, making them great family pets. In addition, they are thought to be very intelligent and enjoy standing on the shoulders of their owners. This can be a fun way for cat and owner to bond. Like many of the cats in this article, this one also comes with a unique coat on top of the large-eyed features. They tend to have longer, somewhat curly coats that can give them a wild appearance. Because of those large eyes, they can also be quite expressive. To add some interesting history, these cats are often known to be associated quite closely with Native American cultures and even originated within that time frame as well. Many know Sphynx cats by their lack of fur. They are one of the best cats that don't shed. These lovable piles of wrinkly skin are also adorned with large, expressive eyes that can bore right into the heart of their owners. Alongside the extremely large, pointed ears, it's difficult for these cats to miss anything! Furthermore, they can be quite vocal and enjoy talking to their owners. They are also quite social, energetic, and enjoy resting in the laps of those whom they adore. 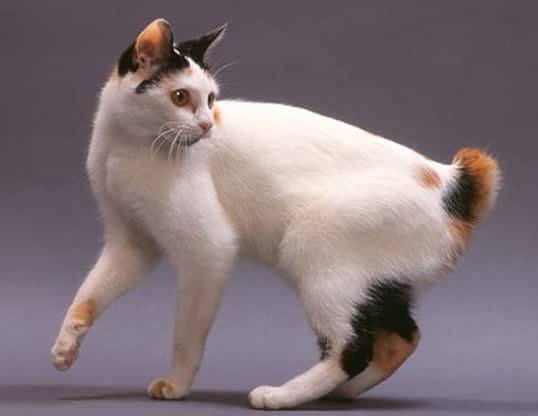 The Japanese Bobtail is interesting in that it lacks the long tail that so many cat breeds share. Instead, it's known to have a small, bobbed tail that can sometimes give it the appearance of being startled. Alongside their big eyes, some might think they look a little more like a bunny than a cat. In addition, this breed tends to be a highly social one, even to the point of being rather talkative. They are also known to be quite an intelligent breed! These gorgeous cats also make the list for those breeds with large eyes. 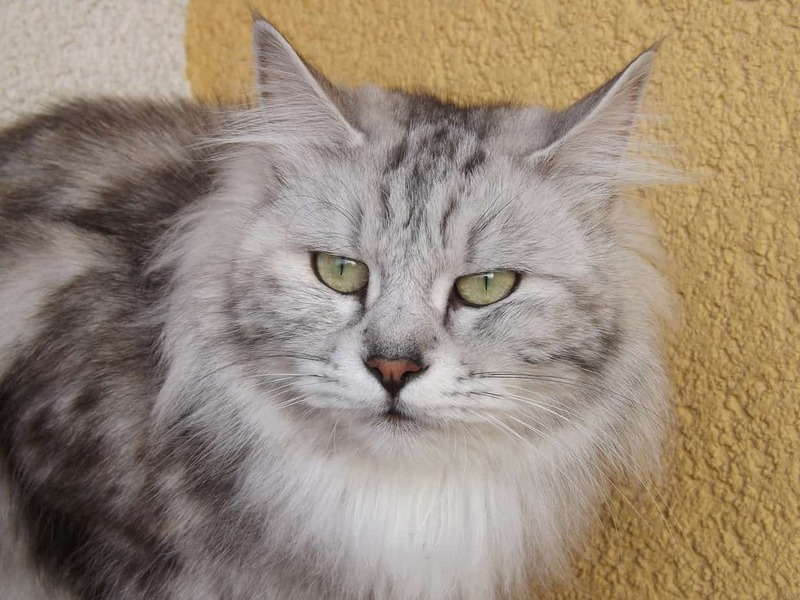 In addition, these cats have a long, fluffy coat that can come in a lot of beautiful colors. They are also considered to have a longer lifespan than some other breeds. Furthermore, these cats can be quite mellow and gentle, which can make them a great option for homes with smaller children. It's a hard breed to go wrong with! There are a multitude of cats that have large eyes, from the longhair breeds to those that have absolutely no hair. 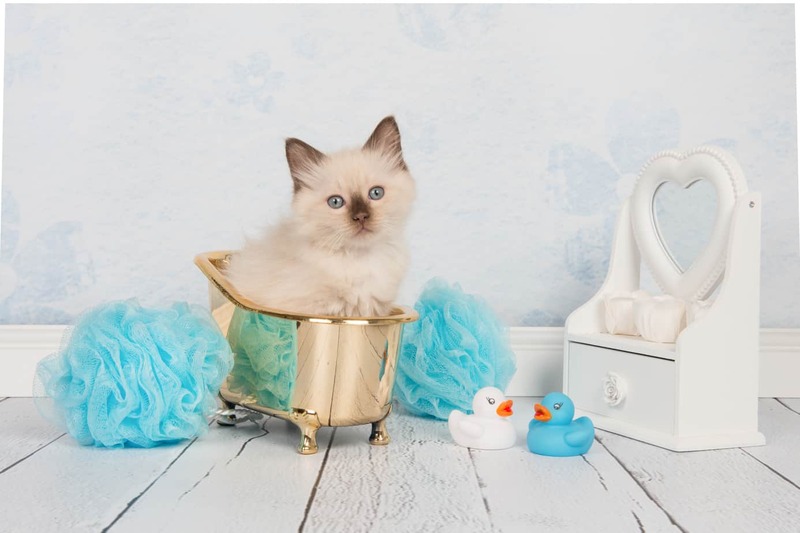 Each breed also comes with their own unique features and personalities, which can be really helpful if you're looking for the ideal cat breed for your home. Many of the features on these cats get mixed into the ancestry of those you might find in a shelter, so if you're looking for a new pet that is the ideal place to start. Make sure to consider what kind of grooming you're willing to give and what kind of personality will fit best in your home.